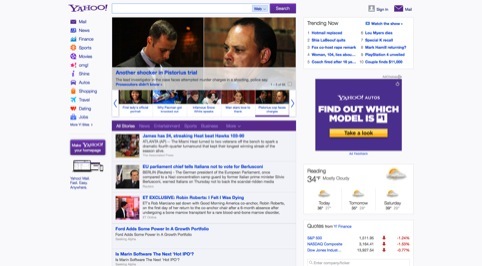 Yahoo has launched a new website design, featuring an ‘infinite scroll’ of news stories. 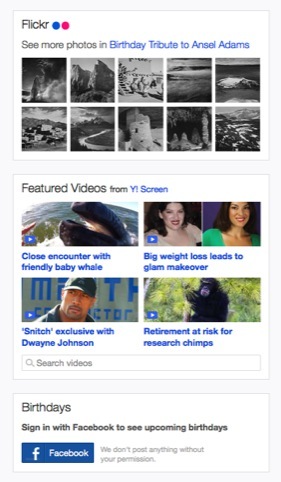 The site – which has been designed in-house – is rolling out to US users and, says Yahoo, allows users to ‘experience a virtually endless feed of news articles’ (although the ‘infinite scroll’ does, eventually, come to an end). 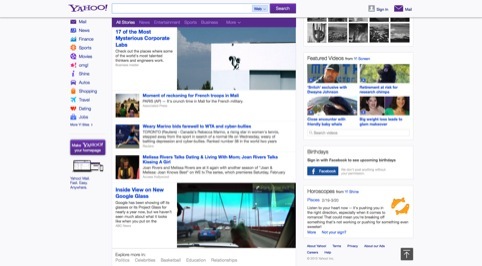 Announcing the new design on a blog post, Yahoo chief executive Marissa Mayer says the new look has been brought in ‘since streams of information have become the paradigm of choice on the web’. The Yahoo site is also linking up with Facebook, so that Facebook users can log in to get personalised information, such as local weather or friends’ birthdays. The site also hosts a Flickr application, that displays photographs taken by people the visitor is following on Flickr.